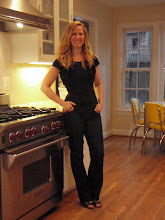 This is another great recipe from my dear friend Mary. Like I told you, she is a fabulous cook! This recipe couldn't be easier and the taste is divine. Leftovers are scrumptious so you may want to double this recipe. (In my opinion, all recipes are not necessarily great as leftovers!) 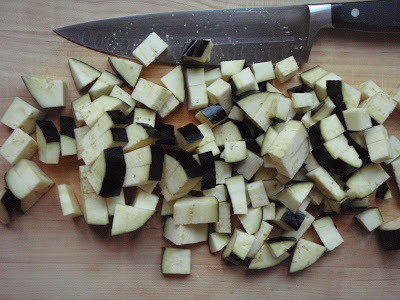 If you love eggplant like I do then you must make this! Heat a tablespoon or so of oil in a skillet over medium heat. 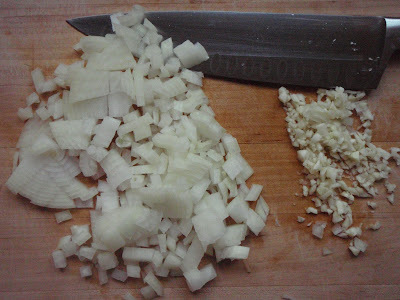 Add onion, garlic, a little salt and pepper, and saute' until soft and light golden color, about 3 minutes. 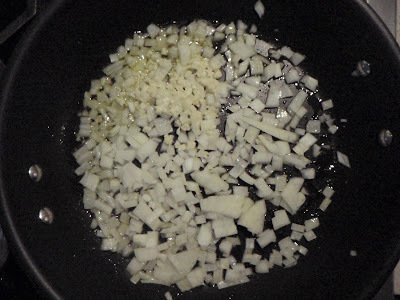 Remove onion and garlic from pan and put on a plate or dish, set aside. 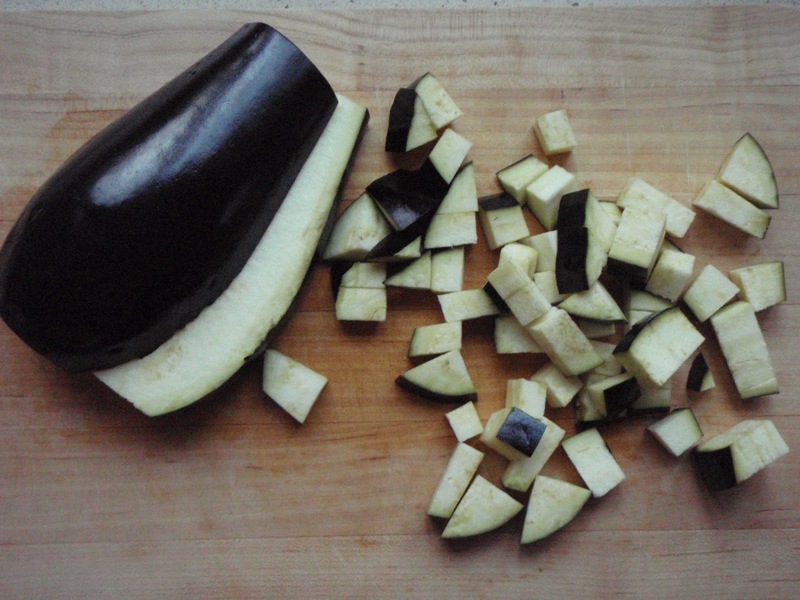 Add another tablespoon of oil to the skillet and add half the eggplant -season with a little salt and pepper. 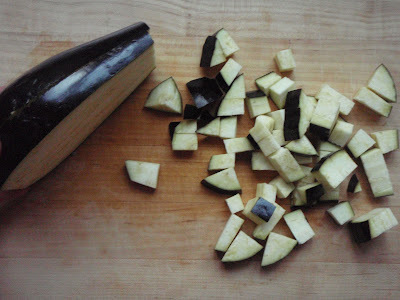 (If you put it all in at once it will crowd the pan and this will cause the eggplant to steam rather than caramelize.) 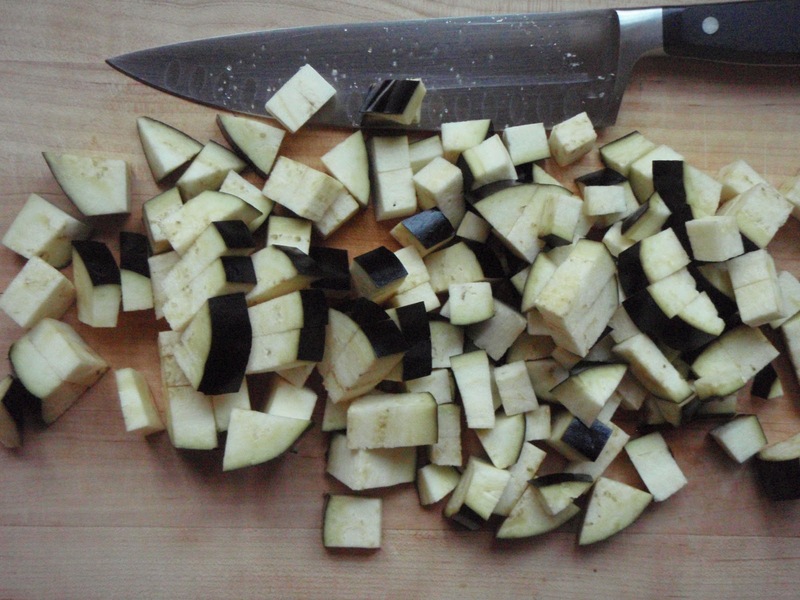 Saute' eggplant until cooked and golden brown in color -about 3-4 minutes. Remove cooked eggplant to plate with onion and garlic. 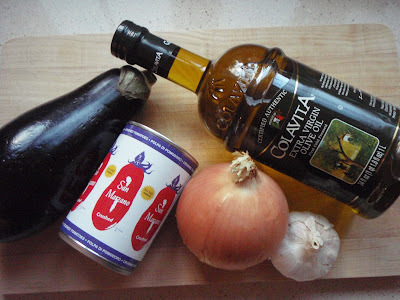 Saute' the remaining eggplant in another tablespoon of olive oil, with a little salt and pepper, until cooked through and caramelized. Add the onion, garlic, and other half of eggplant back to pan. Pour crushed tomatoes over and stir. Cook for a couple of minutes and taste to make sure there is enough seasoning. 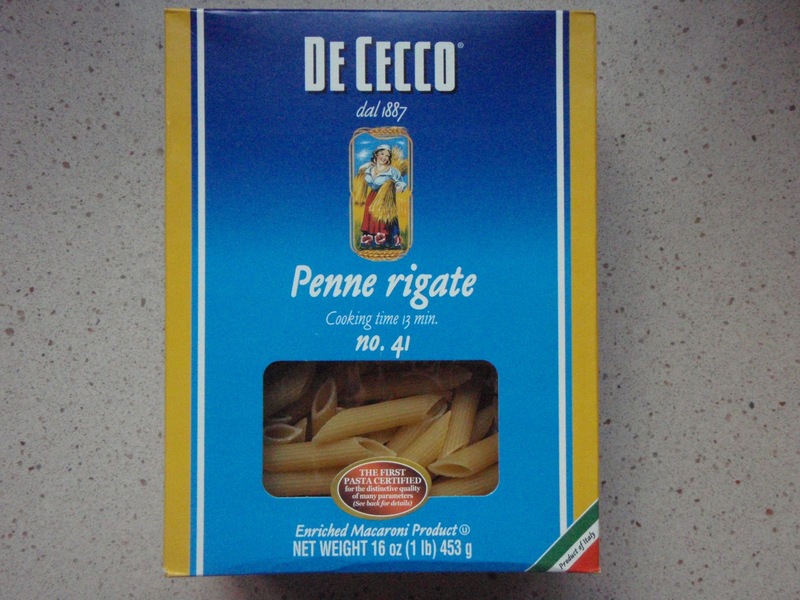 Pour cooked penne over and stir to combine. 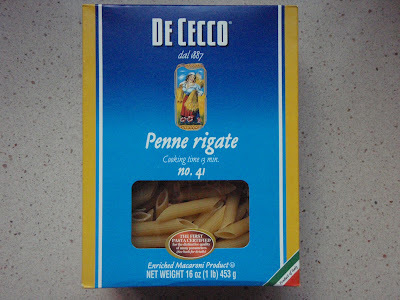 Serve with freshly grated parmagiano reggiano cheese and fresh basil leaves.